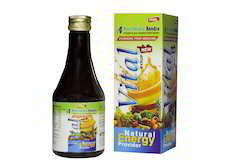 Our product range includes a wide range of vital natural energy syrup and third party manufacturing (ayurvedic medicine). Dosage 1-2 tablespoon thrice a day or as directed by physician. Ayurveda Medicines 3rd Party and Contract Manufacturing Services : With World Class Manufacturing Facilities in India, Ayurvedic Pharma manufacturer , is a single-point source for all your Third party manufacturing & contract manufacturing requirements in Capsulations and Ayurvedic medicines(Tablets & Syrups). We are a GMP, Halal and ISO 9001:2008 Certified company. We are GMP compliant ayurveda pharma manufacturer in India. 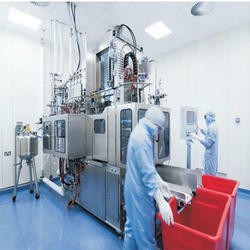 and have 25 years' experience in manufacturing of pharmaceutical preparations in all classical and Patent forms. We offer Capsules, Tablet,Syrups, Oil, Herbal Dry Powders, Herbal Extracts indian and as well as foriengner Extracts. Apart from the 3rd party Ayurvedic manufacturing facility, it is our professional attitude as third party manufacturer for corporate philosophy which is of advantage to our strategic partners for third party manufacturing Ayurvedic India. § Assured Quality and Timely Delivery.